Saw this and wanted to make sure others know about it. These are videos from IBM that outline each part of IBM Connections. If you are looking into Connections or trying to explain it for people this may help outline the functionality found in each section. These have been useful for people just getting to use the product understand all the ways they can utilize the options. Activities allow you to organize your team's work around project tasks. Creating an activity is a useful way to share information and resources, assign and track to-do items, post team information, and organize meetings. You can add new members to an activity at any time, allowing you to quickly pull together the resources you need for a project. Blogs are online journals that you can use to share information with the rest of your organization. A blog is a great way to communicate your latest news and views in an efficient, dynamic style. By posting regular entries on a specific subject or theme, you can make sure people are kept up-to-date with the latest developments in a particular area. Use Bookmarks to store and retrieve bookmarked Web links from a central space. You can share some or all of your bookmarks. You can also see other people's bookmark collections, giving you the means to connect with people who have similar interests or the expertise you need. A community is a group of people who share a common interest. Communities provide an excellent way to connect members of a team and help them to stay in touch and share information. Communities can be public or restricted, allowing community owners to control who can join the community and access community content. Files offer a convenient way to upload and store files in a central repository. You can share uploaded files with selected people, giving you the means to collaborate on content without having to send large files through email. You can also like and comment on files, organize files using folders, and track different versions of files. A forum is an online discussion board with a focus on a particular topic or theme. You can participate in a forum by posting questions or responding to existing discussion threads. Want to find the solution to a problem that's been blocking you? Forums are a great way to brainstorm ideas, gather feedback, and leverage the expertise of others. Profiles is a directory of the people in your organization that allows you to find and connect with the right people fast. You can search for people based on their contact information, background, or expertise. Let people know who you are by filling out your own profile. Build up your own set of contacts by adding people to your network. A wiki is a collection of web pages about a particular topic. Wikis are a great way to share information centrally and encourage collaboration within your project team. Wiki members can add their own pages, and edit and comment on existing pages, thereby ensuring that information is always kept up-to-date. Can you Social Business Opera? Wen night I was one of the lucky ones, for a second time, to live tweet a dress rehearsal of the Palm Beach Opera's latest show, this time it was La Cenerentola. For some of you, it is Cinderella. And NOT the Disney version. A common mistake, no thanks to Disney. Opera rocks! Well, Tommy does, but still it is something impressive to hear a hall full of the singers voices with no microphones or amplification. Pictures here for those interested. The live tweeting of the opera is a genius move by the PBO. With a cross section of Tweeters that have various sizes of followers, we had TV personalities, magazine editors, writers, social media people, store managers, owners of their own businesses, men, women, older, younger to see if there was a thread and correlation to produce some help for the opera. I think they could gain more benefit by having us tweet about the show a little earlier than the night or two before opening but I also understand how hard it is to get everything right and practiced in time. So I went to the opera last night, tweeted all about it, but we had few retweets, so was it our tweeting? The opera itself? Me or us? The timing, 7:30-10:30pm? The night before Valentine's day? These questions are at the heart of every marketer and social media effort. Last time we had many more followers, possibly due to the leads. When I worked on Broadway it was similar problem. the title of the show helps but a known star or lead is really what brings people in, whether the show was good or not, they want to see the star. No doubt this is a similar situation for the opera. I wonder if IBM would let me borrow Watson to do some analytics to help the PBO? So we were up against TV. Big deal. On the other hand, I don't expect everyone to be staring at their phones or monitors all night either. But this is the question, not just for opera but any business that works on a live or spur of the moment effort. What is the best way to get people to see, hear you? Has America lost it's ability to respect the arts and music? Is it this generation which was limited in it's music classes or rather better promoted sports efforts because one can be a winner instead of a singer, dancer or artist? It is the arts which provide encouragement to many and also inspire greatness from others. 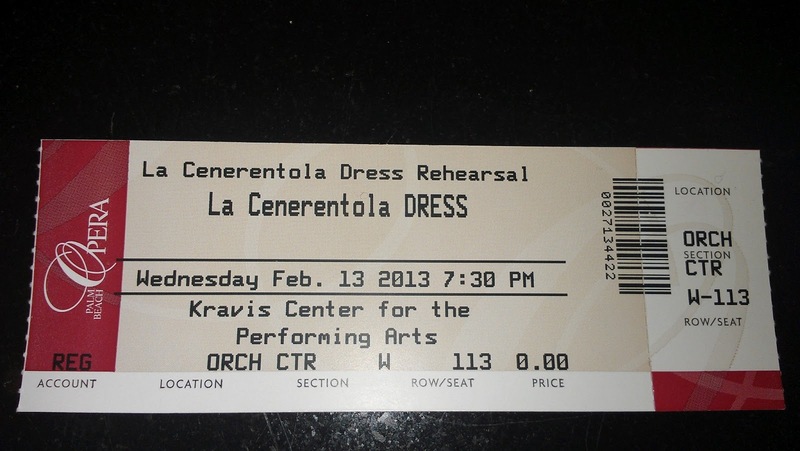 This show still has tickets, unlike the last one, La Traviata, which sold out. if you want to go and are in town, link was posted above. No doubt they have a sizable subscriber group and patrons, but in many cases they are older and as the curtain falls on their lives, few are behind them to fill int he gaps. If you have some ideas about how to bring opera to the masses or at least how to help spread the word, let Amanda Kahan know or leave me some comments. By now everyone either received or at least saw the posts and emails about you being in the top 1, 5 or 10 percent of Linkedin profile views in 2012. If not, here is mine as an example. Keep in mind you are either one of 2, 10 or 20 million people, respectively, who could have received these emails. There were even others that went to other countries if you were part of the first number of people who logged in to Linkedin. Did Linkedin just go after all the ASW's out there? No they went after everyone and probably got more than they thought they would from this stunt. Sure I am adding to it, but there is some genius here to be reviewed. Without a huge customer base, this may not have worked so well, then again, you can come up with any number or percentage of your customers or readers or followers to produce a similar marketing campaign around your brand. Imagine if IBM did this based on people who tweet about IBM or have attended the most seminars or in a more entertaining light, who has the most IBM giveaways. But would it provide reason for people to look up IBM or call their sales rep? I am sure IBM has some great metrics to pull this off. When your followers and readers extol your virtues, that is worth it's weight in gold. This is where size does matter a little bit, but really it is the quality of who follows you, and their followers. Influence, and not the type found in Kred or Klout exactly, helps in this. But even more important is the belief and strength of your brand and company to work with everyone, the lovers and haters, of your brand. And your marketing costs are lower because of the word of mouth. No doubt out of 200 Million members, Linkedin has enough paying them that cash flow is not an issue, well I hope not. But is that enough? No, they have shut down their Q and A section, which I will miss, and have seemed like a little Facebook and a little Google with their various changes and not quite there changes. But without trying to move forward, you don't stay still, you really fall backwards as others progress beyond you. So this was yet another move forward for them. Make fun of it all and everyone's gullibility but the bottom line is Linkedin scored a major coup, this time. The one drawback is next time will people care what the email says in the same way? Time will tell. Sunday I took my 9 year old son with me as we went out to look at some cars. The '02 Camaro has just a few more things to get done it than I would like plus, because of my birthday, the registration is up for renewal this month. Sad to say but 11 years might be the limit on this one. So off we go contenders. First stop, as it happens, was a Hyundai dealership. The ubiquitous Sonata seems like it might be in line with our needs and price. After all I haven't paid for the Camaro for a long time and the idea of paying for a car again is not the exciting. As we drove up to the dealer, http://www.coconutcreekhyundai.com/, my son said, "ohh I like the red one", I thought I raised him better than that. (I hang my head in shame) Anyway so we look at the car by the front door and I point out to my son where to find the details about the car and point out we need a 3 seater in the back. We proceeded to go inside the showroom to look at what was new and some configuration options and to find a brochure on the Sonata. While I am not partial to a hybrid, the ROI is not there for me, if it is close in price I would think about it. In any event, not one sales person came over to talk to us. None. We walked all around and the group of them congregating by a desk obviously had met their quota for this month or year. Evidently, and rightly so, I was not going to buy a car, today, so they did not want to waste their time them. All 8 of them. However, since I had cash in pocket, in case a decent deal was available, I could have made a deal. But none of these pillars of salesmanship cared. My son and I discussed this and I explained the premise of an incentive to him. We discussed how these people were either grossly underpaid or grossly overpaid. Either way, they have zero incentive to help a customer. One which happens to have a few thousdand friends online who love stories like these to use as BAD EXAMPLES OF BUSINESS. There was no care if I were to return, nor obviously that I should have any good impression of Hybundai or the owner of the dealership. Yes, I can go to another Hyundai dealership, if I REALLY want a Hyundai, but you know, something tells me I may not be so happy in a car from a dealership that doesn't care about the customer. So after 5-10 minutes of boredom and no interest by the staff, we got back in the Camaro put the top down and drove a little further down 441 to a Volkswagen dealer. http://www.gunthervw.net/ this was a muich better case study for business. I wanted to drive a Jetta and a Passat, if anyone cared to talk to us. Within a few minutes of getting out of the car and looking at one or 2 cars on the way to the showroom we met Michael who was very friendly to both of us. We talked about what I needed, what price points and my son asked if it came in red. Naturally Michael had a few cars to choose from and we ended up driving 3. The 3rd was Michael's effort to get me into a different option, a Tiguan, which is what sales people should do, give you other choices you may not have thought about. In keeping true to form, one complains to 10 times as many people as one applauds, but in this case it is equal. What you readers do with this, is not my interest but for all of you in sales, including myself, what do you do to represent your brand? Do you do it well? Do you scoff at potential customers as deadbeats? If your attitude would change because I, as a customer, walked in wearing a suit and tie, then I probably do not want to work with you. Neither of these experiences were very social on the business front per se. No email address request, just my physical address. No, follow us for Tweet of the day car deals or Like us on Facebook. Just old time get to know each other social face to face. If the owners want my help in encouraging their staff, I am happy to do so, my fees are reasonable and I barter. How did I Miss This Feature in Notes? Admittedly it probably is important to specific people in specific countries but I needed it for my Hebrew references. You learn something new every day. Or maybe in my case, you forget more than you remember. With your Contacts db open (local names.nsf) select View-> Additional Language Options and select whichever language you need...or all 7! How cool is that! It makes a list of the alphabet next to the English one and is searchable as well. I thought it was new in Notes 9, but went back to an 853 client and it was there, looks like we got it in the 8.X stream. Carry on with your normal work now.